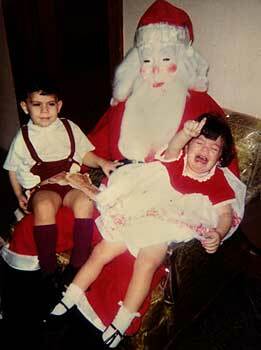 Boing Boing alerts us to the Scared of Santa Photo Gallery. This picture is of Mark and Laura Diatte, sent to the Chicago Tribune last year by Laura. Trust me, you want to visit the gallery and see all of these great photos.